Looking back, we would have ended our trip in Paris rather than started it. 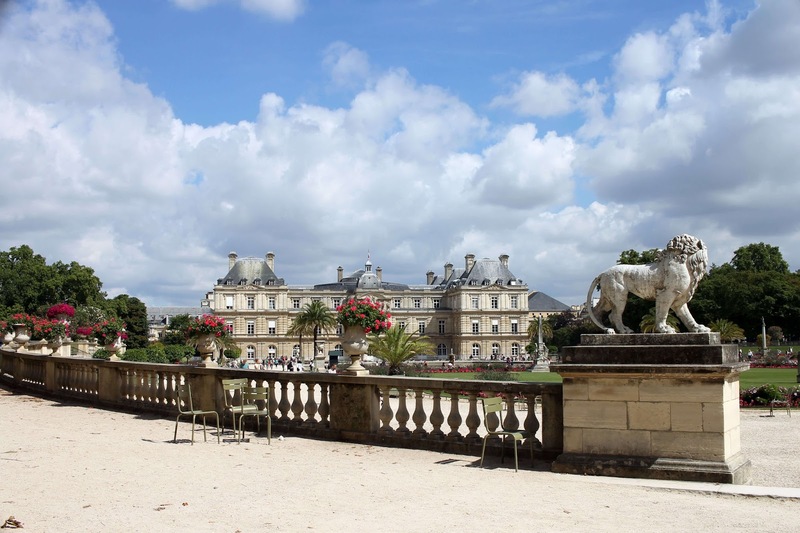 We tacked on Paris at the last minute, adding it the same day we book our flights. It would have been nice to have a few slow and relaxing days to round out our trip, but you always have a few regrets, right? 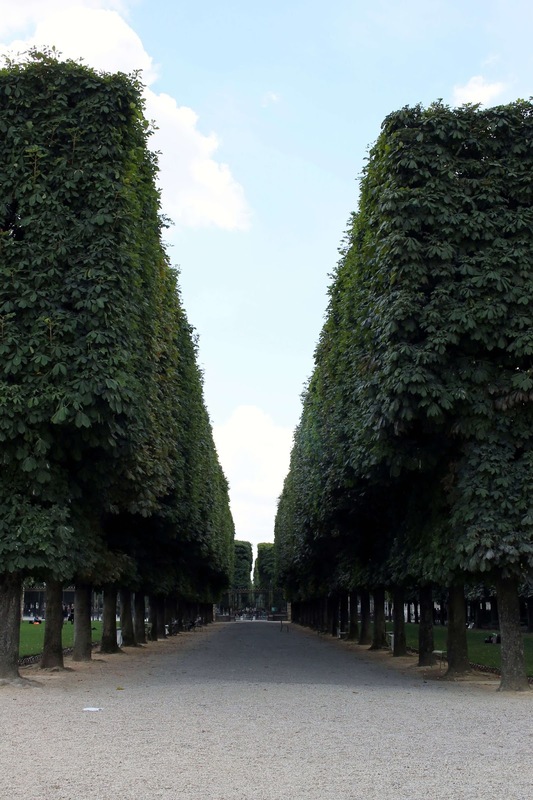 Either way, our time in Paris was still dreamy. I was the hesitant partner when it came to booking Paris. When this trip originally came to fruition many years ago we said we were only going to Spain with the hopes of being able to explore and experience one place. We did not want to feel like we were rushing just to check off another country or site. So, when my husband suggested Paris, I said no. He thought I was crazy, what fashion-loving girl does not want to visit Paris? Thankfully, he was able to persuade me. We stayed in the 6th arrondissement on the Boulevard Saint-Michel. 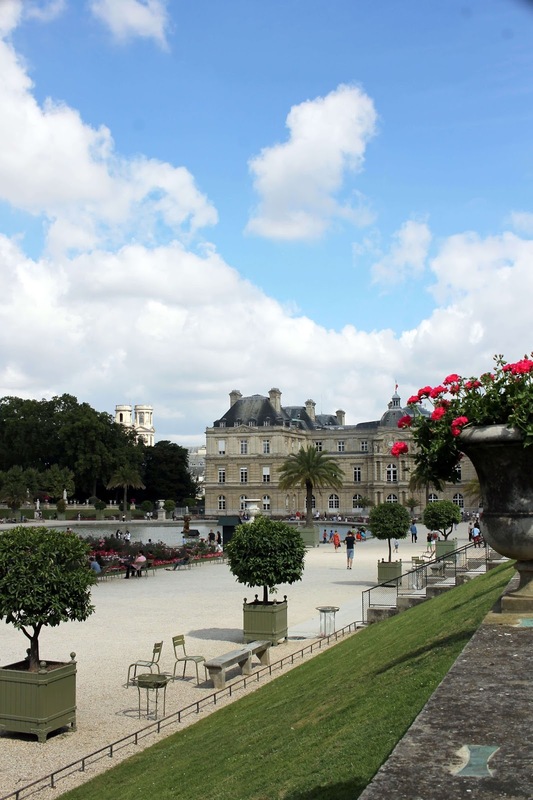 We would wake up early, grab a cafe au lait and croissant, and then walk around the Jardin du Luxembourg. We realized quickly on that Parisians are not early so risers so it was nice to have the city to ourselves for a little while. 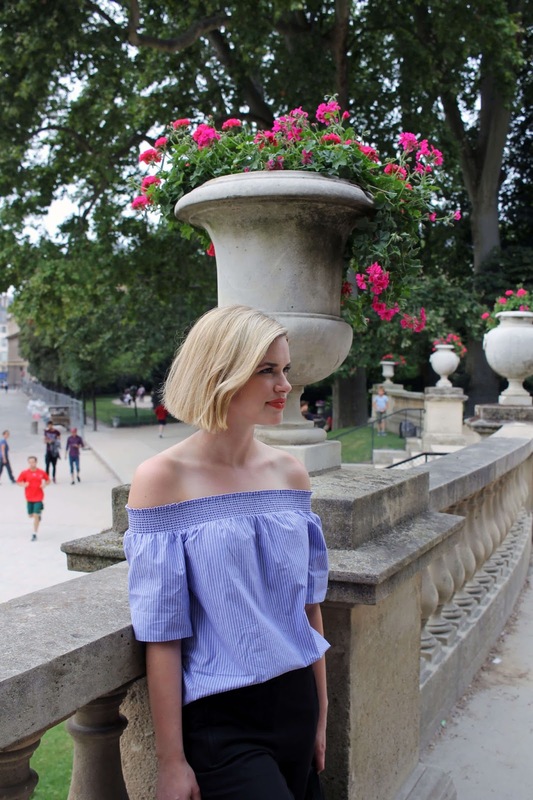 On our last evening in Paris we came back to the Jardin du Luxembourg where we snapped these photos before dinner. These cropped flare pants were a staple for our cooler destinations. I dressed them up for dinner with an off the shoulder top and heels, but also wore them during the day with a striped tee and adidas. Either way, they made me feel more put-together than I may have otherwise felt.